Cyclists in the UK are a hardy breed – you’ll find us crouched over our handlebars rain or shine, day or night, making our way around our cities and towns. 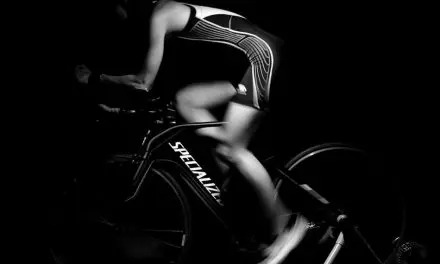 Armed to the teeth with reflective gear, flashing lights, helmets and warm gloves, you’d be right in thinking that cycling is physically and mentally demanding – but that’s why we love it. The Stalham to Dilham ride is just under 23 miles (see map below), so if you’re with novice riders, let them know it’s not a short journey. This route takes you past the Museum of the Broads, so if you fancy making a day of it, you can spend a few hours here to save your legs some trouble. 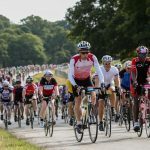 This ride is great for nervous riders as the majority is down quiet country lanes (with the exception of Stalham), and you’ll get the opportunity to visit the traditional weaving village of Worstead. If you’re looking for something less taxing, there’s a ten-mile route around the pretty town of Blofield, which is about seven miles east of Norwich. The tour begins at the church of St Andrew and St Peter, and takes you through Lingwood, Strumpshaw and Brundall. There are quite a few narrow country lanes and railway crossings to negotiate, but overall the route is remarkably easygoing. When you get to the crossroads at Hassingham, cross straight over to visit the well-loved Strumshaw Hall Steam Museum. If you’re after a bike ride with younger members of the family and you’re concerned that they might run out of steam, the Bure Valley Railway Path is a route that runs alongside the Bure Valley rail track, and is walker and cyclist-friendly. This nine-mile stretch takes you from Aylsham to Wroxham, and as there are many paths that branch out from the original footbath, you can freestyle a bit. If you get tired, simply join any of the Bure Valley Railway’s services at Brampton, Buxton or Coltishall – bikes can be taken on board for a single journey rate of £3.50 each. Not so much a route as a selection of routes, but if you’ve got kids, this might come in handy. Young families sometimes need a bit more than a bike ride to entertain them (don’t worry, they’ll learn) so you might want to tie in a bike ride with an attraction. BeWILDERwood is open during the summer months and hugely popular with families, and they offer a bike-hire scheme that’s suitable for budding cyclists. Many families visit nearby Horning, Barton Broad and Wroxham, and there are plenty of places to stop along the way to grab something to eat or drink. BeWILDerwood offer route maps for those seeking longer rides, and Norfolk Broads Cycling Centre, who organise rentals, offer baby seats, tandems and trailers for small children. If you fancy a challenge, Discover the Broads has put together a route that lets you make the most of the Broads in one day. Starting at Clippesby, you’ll go past Sutton Staithe, Dilham Broad, Neatishead and Horning. 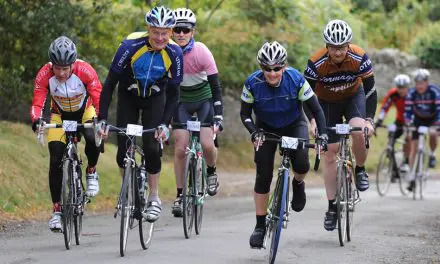 This 35-mile route is not suitable for families or anyone that isn’t used to cycling for long periods of time, but more proficient cyclists will find it a hugely enjoyable and challenging experience. There are sections of this route that involve cycling past traffic and occasionally muddy, narrow paths, so don’t attempt this ride unless you’re a confident cyclist. Combining a Cycling Holiday with a Boating Holiday may be something you’ve not considered before. Company’s like Richardson’s Boating Holidays, a family-run company based in the heart of Norfolk, is a good starting place for research into what could be your next holiday.